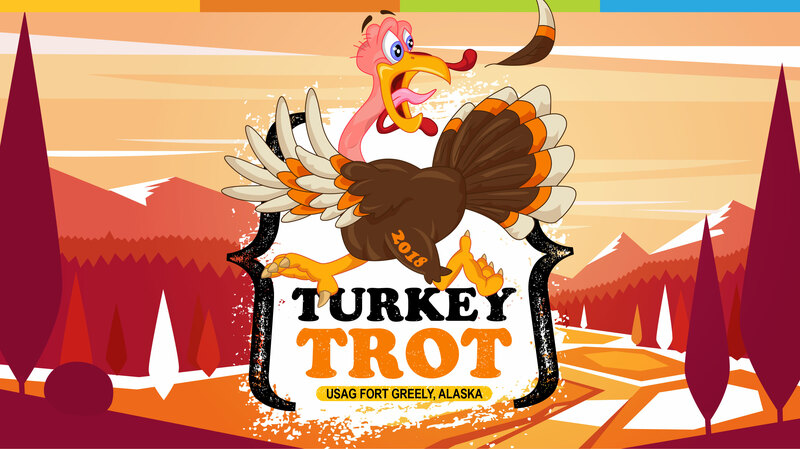 Date: Nov 20 2018, 11:30 a.m. - 12:30 p.m.
Join us for Fort Greely’s Annual Turkey Trot on Tuesday, November 20, 2018 and burn some calories before your feast! Top 2 winners of the 2-Mile run/walk down Robin Road and back will run away with a Turkey for Thanksgiving. Bring the entire family and get your trot on before the big meal!